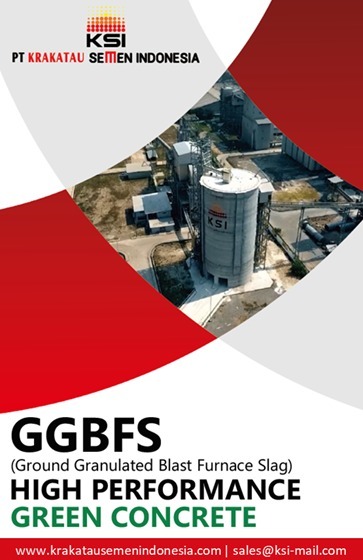 JAKARTA – A qualified infrastructure development requires funds, labor costs, quality improvement, safe and healthy construction work (K3), technological innovations, and many more. Therefore, the role of stakeholders in infrastructure development in Indonesia is essential. This statement was confirmed by Anita Firmanti, Secretary General of Ministry of Public Works and Housing Indonesia (PUPR), representing the Minister of PUPR on the opening of press conference Konstruksi Indonesia (KI) 2018 Launch in Jakarta (7/18). 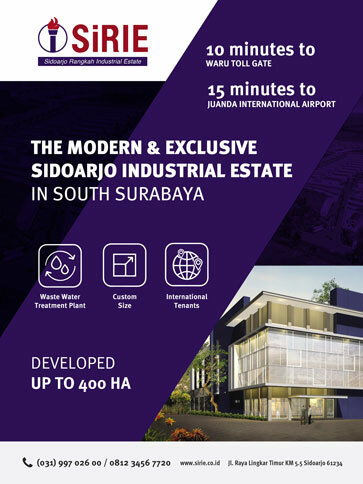 Infrastructure development has become the main focus of President Joko Widodo administration which aims to improve productivity, global competitiveness, and actualize the nation’s economic independence. According to World Economic Forum’s data on the Global Competitiveness Index, this year Indonesia is ranked in 36th place, moving its way up than the previous year in 41st place. Indonesia’s Infrastructure Competitiveness Index also made its way to 52nd place as compared to 2017’s position (ranked 60). Even so, a massive infrastructure development by the government needs to be supported with a high commitment to prevent work accidents or building failures during any construction. “The key is to stay disciplined to the K3 principles and also fulfill the standard operating procedure that has been set in order to achieve zero accident”, said Anita. Also, technology innovation in infrastructure development is highly needed. In the future, Indonesia will be swamped with technology goods and services from across the globe. For locals, this should be seen as a potential and motivation to create innovative work and ideas for the nation. Seeing these challenges and opportunities, the role of stakeholders in construction industry such as contractors, consultants, supply chain construction entrepreneurs, and K3 construction players is needed. Therefore, the annually conducted-Konstruksi Indonesia 2018 by the Ministry of PUPR is suitable for stakeholders to take part in. “Konstruksi Indonesia 2018 will be held on 31 October – 2 November 2018 at Jakarta International Expo Indonesia. This event will become a platform for construction business practitioners, in local or international level, to produce the latest innovations and solutions for the nation’s construction development. 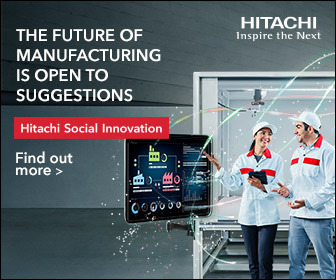 This event will also provide a place where practitioners could generate network, open new business opportunities, as well as become a knowledge source for industry players in Indonesia”, said Anita. Meanwhile, Rosan P. Roeslani as the Head of Indonesia Chamber of Commerce and Industry said that private sector is ready to support infrastructure development. Rosan hopes that private sectors could have more opportunities to work on projects that use state government budget so that they could emerge as much as state-owned enterprises and prevent overload in the state-owned enterprises. 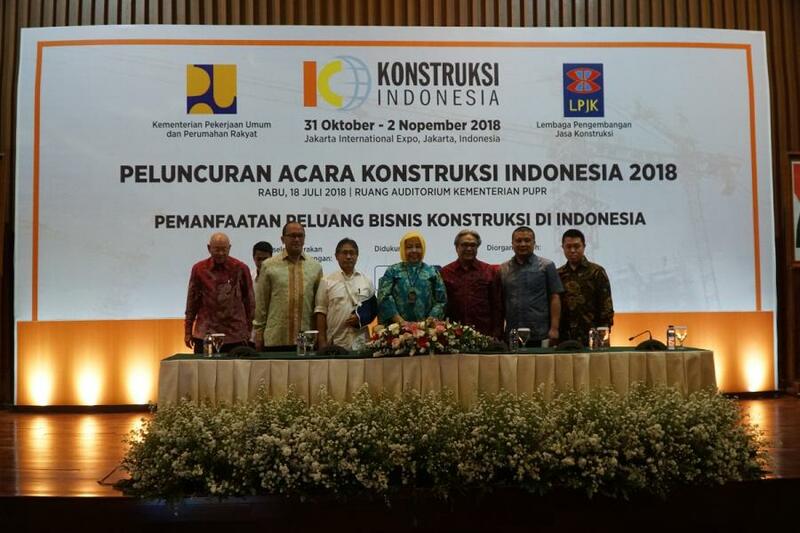 Ruslan Rivai, The Head of Construction Services Development Board of Indonesia (LPJK) also expresses his readiness to support Konstruksi Indonesia2018 with activities to improve the worker’s competence in construction services. These activities include 7000 free skilled worker certification and special fee for expert worker certification in order to support the government to reach certified construction workers across the nation. 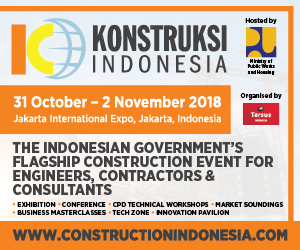 Konstruksi Indonesia 2018 presents a variety of construction products and services, as well as the latest solutions and innovations, followed by 12,000 attendees consisting of civil engineering companies, contractors, consultants, and stakeholders in construction & infrastructure. "This event is expected to provide a complete image of the trends and opportunities that exist in the Indonesian construction industry. 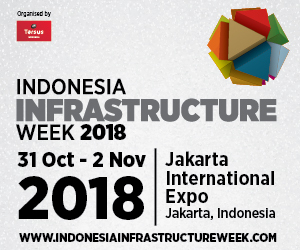 Through this event that connects these local and international professionals, Konstruksi Indonesia 2018 is expected to present new solutions and innovations in the construction sector that can contribute directly to infrastructure development, "said William Owen, Director of Tarsus Indonesia, as the Event Organizer. Konstruksi Indonesia 2018 is co-located together with Green & Smart Building Indonesia 2018 and Indonesia Infrastructure Week 2018. 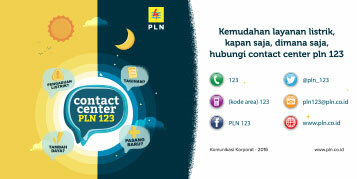 For more information, please visit www.constructionindonesia.com. JAKARTA - PT Angkasa Pura I (Persero) or AP I has invested Rp 18,8 trillion for airport infrastructure development. ©2016 PT Tarsus Indonesia - A Tarsus Group Company, All Rights Reserved.